This stylish fashion tote features jute/burlap material and accented with leather handles, rivets, top zipper closure, and inside zippered pocket. 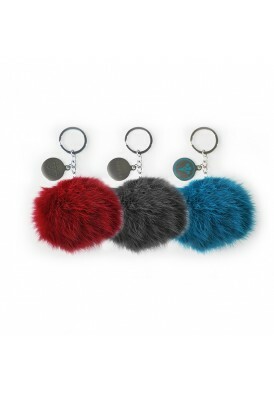 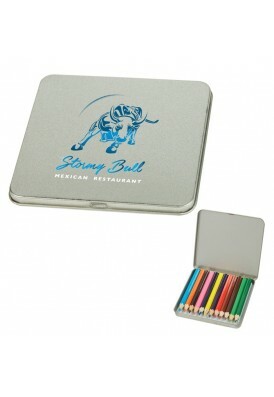 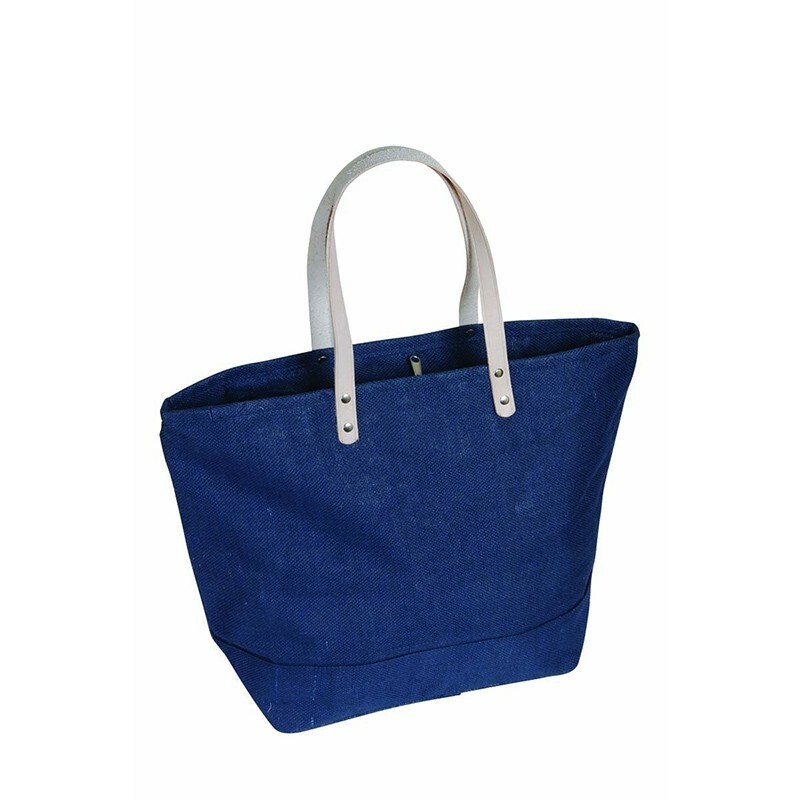 Great size for your everyday items. 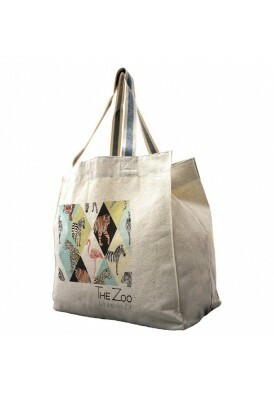 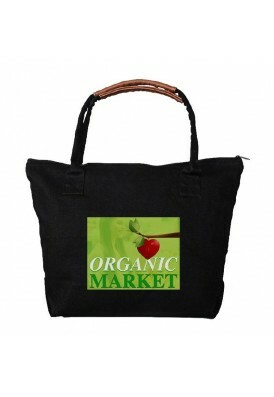 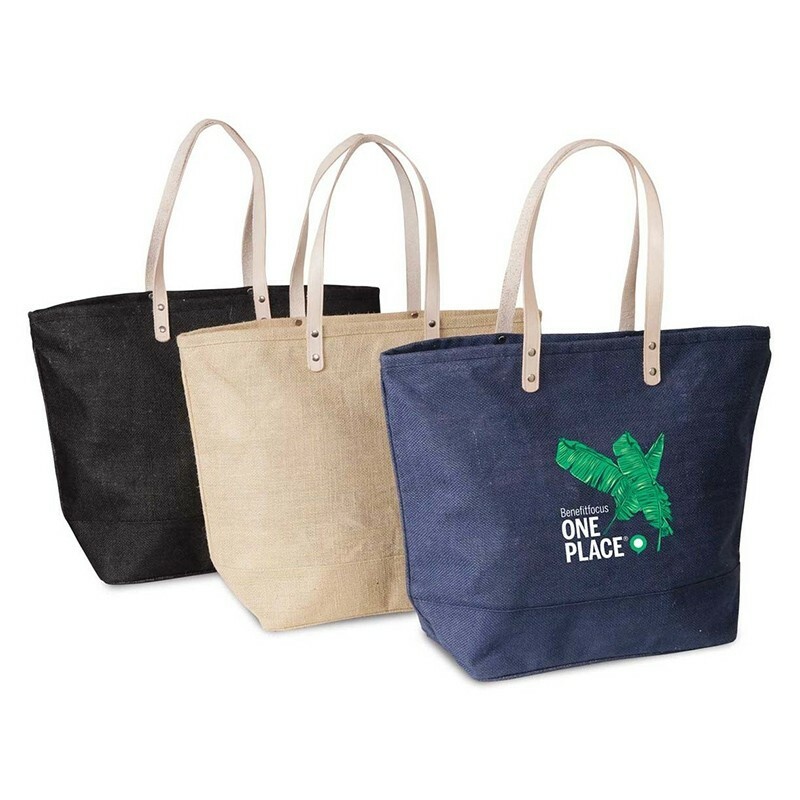 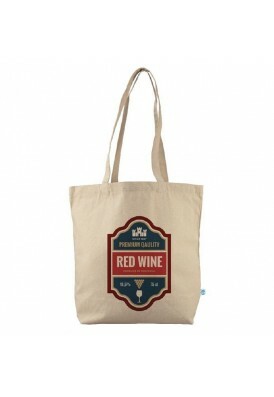 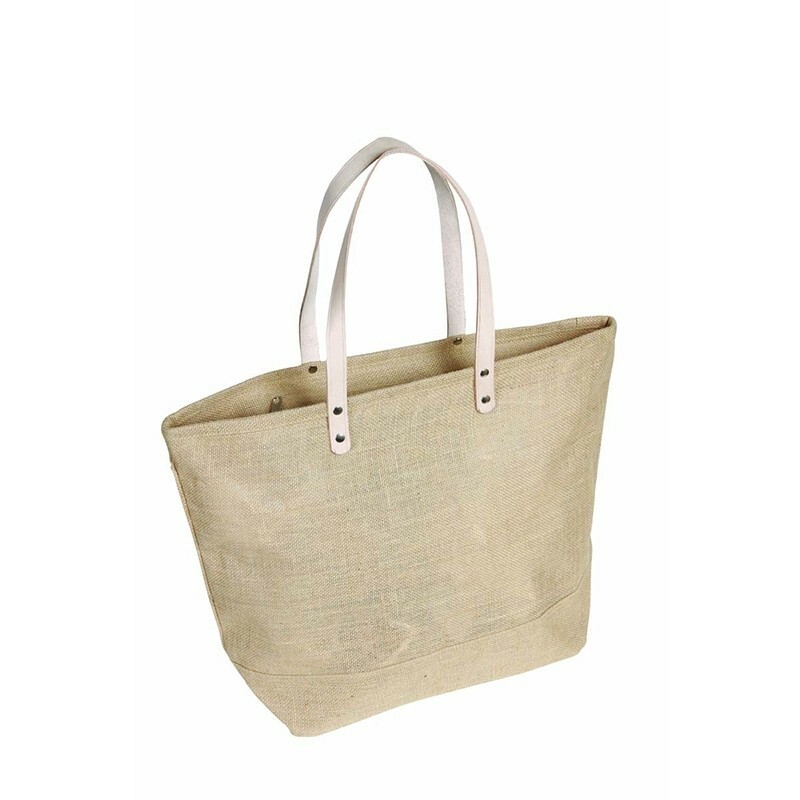 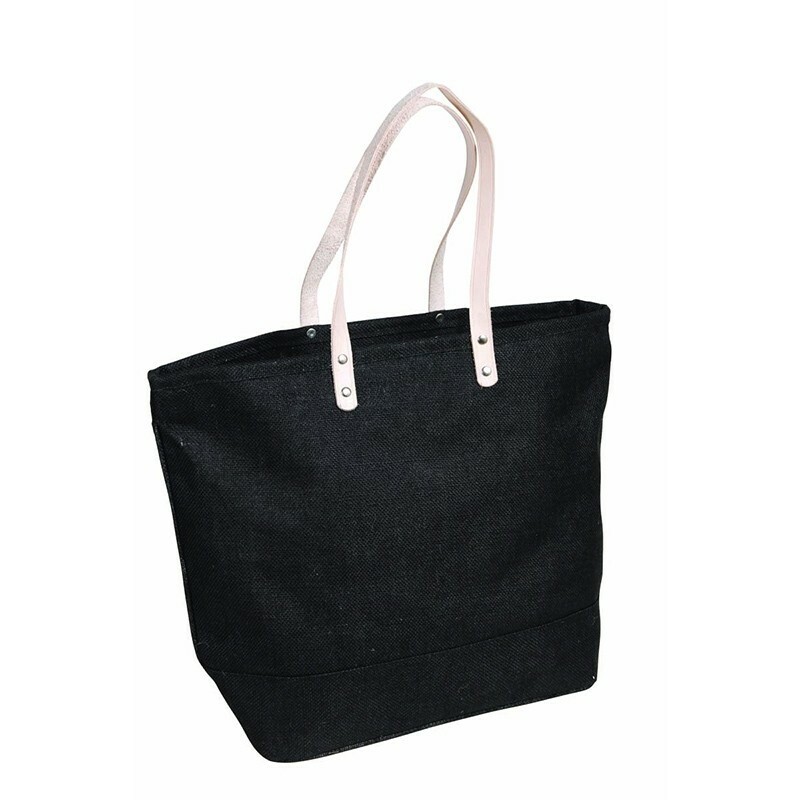 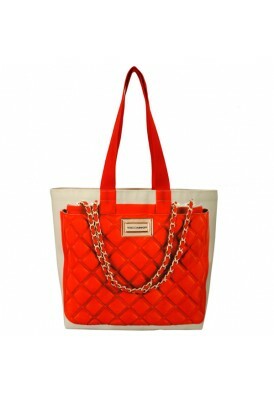 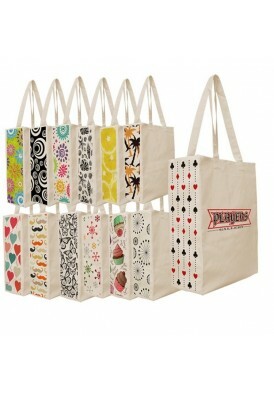 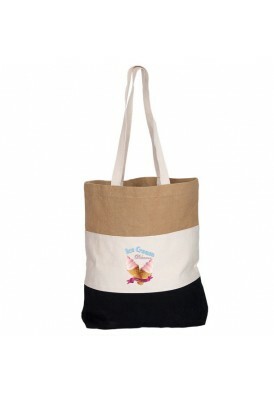 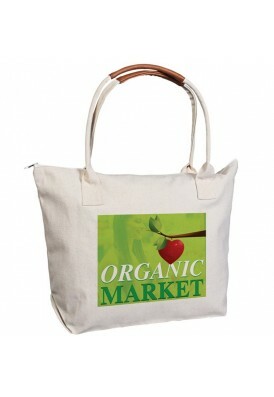 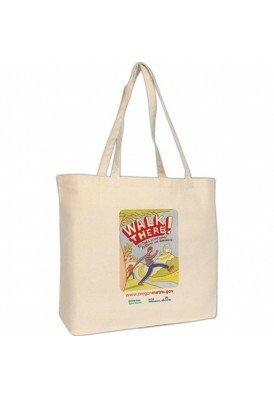 These eco-friendly totes are made of 100% organic jute material.